Here is another one of my favorite things to do with quinoa. Saute peppers and onion in oil until onions are translucent. 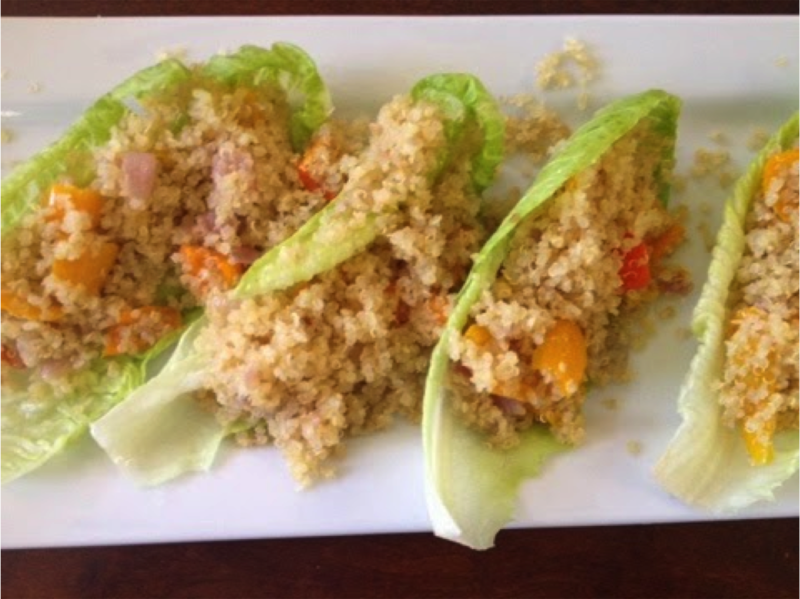 This time I put the quinoa inside of some cute romaine lettuce. LOVE it!